This revolutionary skin tightening system used by Accent Radiofrequency is performed using advanced radio frequency (RF) technology to treat wrinkles and loose skin concerns in a non-invasive manner. Countless satisfied patients and clinical studies have proven the Accent Radiofrequency treatment’s effectiveness in the promotion of healthy collagen production, tightening of loose skin, and improvement of body contours. Visible results can be seen in a quicker way with Accent Radiofrequency. No Down Time Needed – After the Accent Radiofrequency treatment, the patient can go back to normal activities immediately, as there is no down time or recovery period necessary. The Accent Radiofrequency treatment allows the patient to have the skin improvement that he or she needs without having to make too many adjustments in his or her busy schedule. The Accent Radiofrequency procedure is designed to heat the dermis in a uniform manner with radiofrequency energy (RF), while keeping the epidermis protected during the entire procedure with built-in contact cooling. 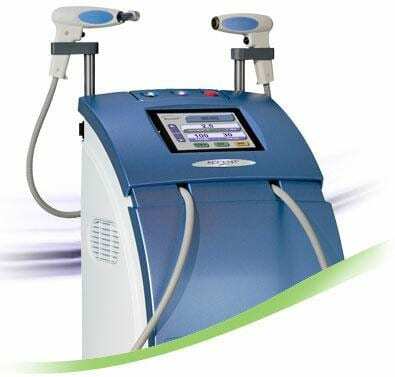 The increased temperature in the dermis causes the collagen to contract, so that it can regenerate and realign over the next few months following the Accent Radiofrequency treatment – the result will be vastly improved skin texture that looks more youthful and more vibrant, without the unsightly skin conditions that were successfully eliminated.